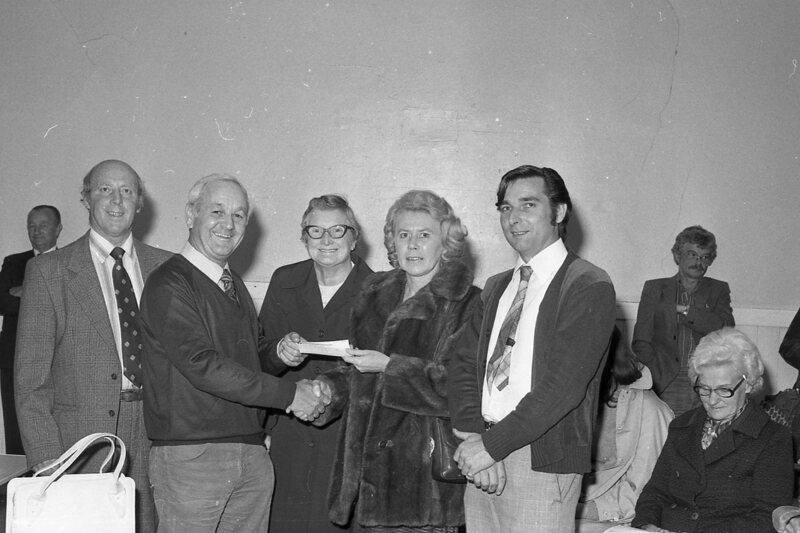 This photo in September 1981, is noted as being ‘Old Mansfield Woodhouse Society cheque presentation.’ Maybe a member of the society will be able to tell us more about this event and also name people in the picture. Ref. Photo, the man next to Roy Waggott is I believe Syd Mintey, the Lady wearing specs is Constance Seager, who wrote the WEA history of Woodhouse, with the Woodhouse Society members, a copy is in Woodhouse Library. There was to be a follow up book from 1935 onwards but it was never done. The person stood at the back is Ian Mcleish the Librarian for years at Woodhouse. The Lady seated is Mrs. Spiers. I do not recognise the people presenting the cheque. The man on the left in jacket and tie is Roy Waggott.